The kindergarten Colle dei Frati in Zagarolo (Rome, Italy), which is included in the school complex of Zagarolo, develops on three levels and a shady yard surrounds the building. 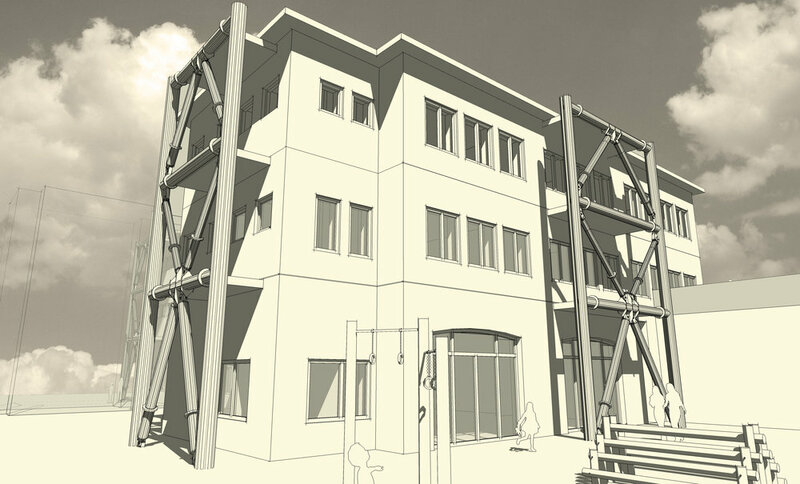 Before the intervention, the school presented structural issues, both for the vertical loads and the vulnerability towards possible seismic events. Therefore, it was necessary to reinforce the existing pillars using the technology of the concrete jacketing. BRB and BRAD base seismic isolation were installed on external steel structures that would not interfere with the school activity nor modify the internal arrangement. The frameworks do not impede the view from the existing windows. The conduction of the construction, during the school year, never interfered with the school activity. The seismic mechanical restraint devices are connected with the steel frames to each level, through concrete slabs. 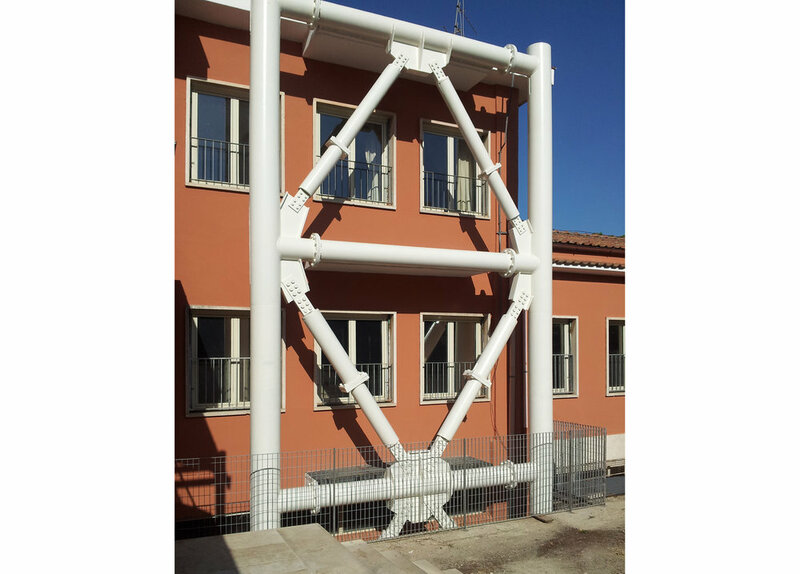 This innovative earthquake protection system reduces displacement actions.